Safety should always come first no matter what aspect of life you’re talking about, especially when there are children involved. One of the leading causes of death in children aged 3-14 is motor related accidents. These accidents occur for an array of different reasons, and unfortunately, a lot of these accidents are often avoidable. Even though accidents may occur at any given moment, you can reduce the risk of harm to your children while travelling in cars through a few simple steps. 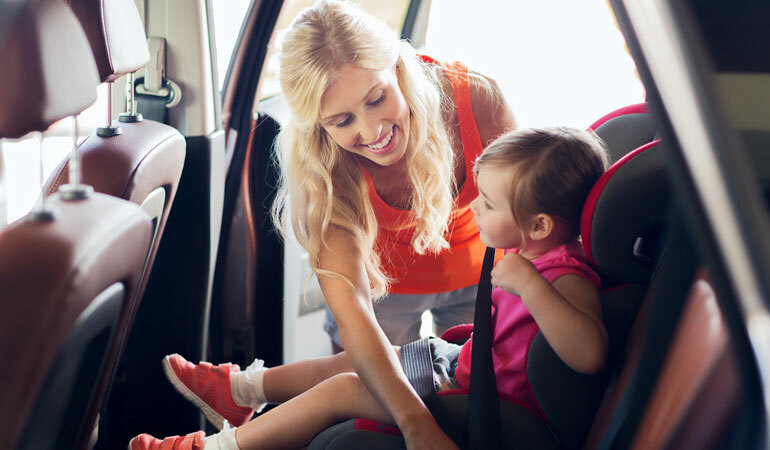 Our Gold Coast team has put together this handy list on the steps you can take to keep your children safe in cars or car hires. This is really obvious but still worth mentioning. You should drive safe regardless of who is in your car, but you should be extra cautious when there are children on board. Reckless driving increases the chance of accidents many fold. This is sort of an extension to the previous point. Following all the road rules is going to make sure that you are driving safe and not risking your children’s wellbeing. Children’s safety equipment is designed to protect children, but wrongly assembled or put together equipment can put your children at more risk than they were initially in. Make sure you read all the manuals that come with car seats before you install or assemble them. When you’re on a trip, make sure you either carry your car seat and child restrains or buy/rent them to put in your car hire. Your child is not only at risk when the car is moving. Many children are left in cars that overheat. There are even records of children dying while left unattended in cars. Always stay by your children when you’re in or around your car. This is even more applicable when you’re in a car hire since you’re likely to be in an unfamiliar place. If you’re looking for a car hire on the Gold Coast, don’t hesitate to give Surfers Rent A Car a call. We can help you with all your car hire needs on the Gold Coast.